A Texas waiter who refused to serve a customer that made fun of a child with Down syndrome has used his publicity and unexpected donations to set up a scholarship at a school for special needs children. 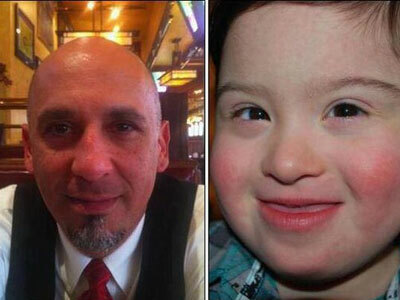 Michael Garcia, a 45-year-old waiter at Laurenzo’s restaurant in Houston, has regularly served a family that includes a 5-year-old child with Down syndrome, Milo Castillo. But when another family seated nearby ridiculed the child and moved to a table further away from Castillo, Garcia refused to serve the rude customers. One of the guests had told his family that “special needs kids shoud be kept in special places” – a statement that prompted the waiter to react. Ever since the story gained significant media publicity last month, Garcia has been receiving letters, unusually high tips, gifts, and unexpected donations from people thanking him for standing up for the boy and potentially putting his job at risk, the Houston Chronicle reports. And Garcia continues to act selflessly: last Thursday, the waiter took the donations and presented a $1,145 check to the boy’s school, the Rise School of Houston. The preschool offers a special program for children born with Down syndrome and other disabilities, and Garcia’s donation will be used for a scholarship fund. The boy’s mother, Kim Castillo, continues to express thankfulness for what Garcia did – first by defending her child, and then by giving away the money he received. “What he’s doing is not only inspirational, but it’s going to hopefully push people to make donations to this amazing, amazing school,” she said. When Garcia visited the preschool to present the check, he received a paper crown that the students had made for him, adorned with plastic jewels and stickers. A group of preschoolers performed a song in sign language to say thanks to the waiter who they described as a “kind of God” and a “kind of Martin Luther King”. While Americans have thanked Garcia for his generosity, the man continues to act humbly, claiming that the focus should be on the children – not him. Garcia said that he will now use his free time to continue raising awareness about special needs children and to work towards a nationwide tolerance for those with disabilities. Approximately 400,000 Americans suffer from Down syndrome, many of which are discriminated against in the public sphere. From being barred from flying first class to being stared at in public, special needs children and adults are too often treated unkindly. Connor Long, an 18-year-old Colorado resident who suffers from Down syndrome, wrote an open letter to Garcia, outlining his gratitude for an action that he says is very rare.